There have been many medical breakthroughs over the last 20 years for a wide range of neurological conditions – from migraines to multiple sclerosis to Parkinson’s disease. Unfortunately, progress with neurodegenerative conditions, like ALS and Alzheimer’s, hasn’t quite kept the same pace. Why? They are complicated conditions. Beyond familial ALS, we still don’t know what causes the disease. 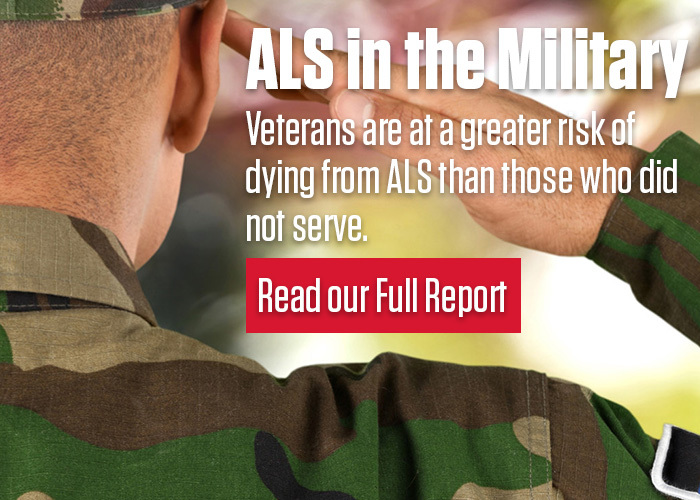 ALS manifests and progresses differently from person to person. There are no concrete laboratory markers, so it is difficult to predict and measure changes in the disease. The brain is a highly-protected part of the body, so we can never be certain if drugs will actually cross the blood-brain barrier, and have a therapeutic effect. In some cases, it can take almost a full year before an ALS diagnosis can be confirmed. Will the drugs act in the intended fashion? Will the treatment influence other functions of the body? Will it do so in the ways intended or cause other problems known as side effects? What is the relative toxicity of the drug? Waiting for answers to these questions can be frustrating for both people with ALS and scientists dedicated to finding an effective new treatment, but they are crucial in ensuring safety standards. Before a doctor can prescribe a new drug, it must pass a battery of strict safety checks required by the Food and Drug Administration (FDA). A drug called Tirasemtiv may hold promise for improvement in breathing, muscle strength, and skeletal muscle strength, but there were some side effects identified in the preliminary investigation, so new studies are underway. The results of new trials for a drug called Ozanezumab are scheduled to be released this April or May. The drug is an antibody to Nogo-A, which some experts believe may be blocking connections between nerves and muscles in people who have ALS. A diaphragm pacemaker may be able to electrically stimulate the diaphragm to slow the time to respiratory failure for some people. Recent studies show varying outcomes so more work needs to be done to fully understand which patients with ALS might benefit. Stem cell therapies may be effective in targeting all types of cells involved with ALS. A study in Israel has shown some promise and is now being replicated in the U.S. Other research suggests we may be able to take stem cells from someone’s own body and reprogram them for various uses from producing motor neurons to creating new models of disease. This concept is still in the very early stages of study and is still unproven. A number of neurological trials are examining whether something called antisense oligonucleotide technology can inactivate abnormal genes in those with hereditary ALS to either slow or stop the disease. Retigabine, a medication already used for the treatment of epilepsy, may hold potential to reduce the excess excitability observed in ALS cells. Although most of the aforementioned studies are still in the very early stages of scientific exploration, researchers are beginning to develop clear targets that can be used to measure results. Shefner says that it is likely that continued research could result in an effective “cocktail” therapy where a combination of drugs and treatments are one day used to slow the progress of the disease. Also promising to people with ALS is that several drugs being tested for use in people with ALS are already approved for treating other diseases, which makes it easier to resolve issues about safety, dosage and effect. That means, if it can be determined that these drugs are safe and effective for people with ALS, the wait time to bring these drugs to market will be reduced significantly. Vast improvements have been made in prolonging motor function and improving quality of life. Examples include the increasing ability to treat cramps and excess saliva. There is also great headway being made with nutrition, physical therapy and breathing management. There is much hope on the horizon for people with ALS. Thanks to increased funding for research provided by Ice Bucket Challenge donations, research can continue at an accelerated pace. View the webinar for more information at: https://vimeo.com/120697177. Don’t miss the Q&A section at the end, where Shefner discusses the state of research in the U.S. relative to other counties and what you can do if you have slow-progressing ALS.